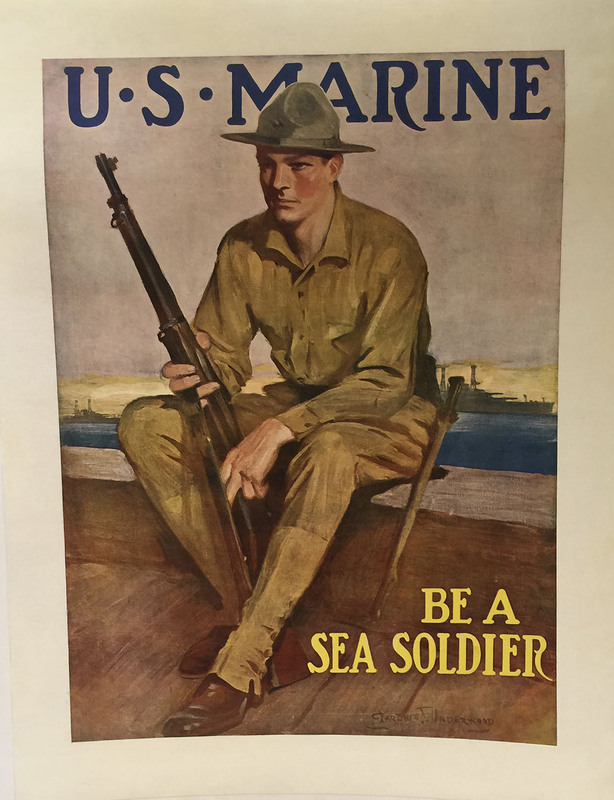 Original WWI era Marines recruiting poster. Size: 30 1/4″ x 40″. Mounted to canvas.